Storyline: The troubled teenager Owen Whitmore has a sleep disorder and occasionally sleepwalks. Owen is having therapy sessions with Dr. Katherine Ramos. Having just joined the medical school, he has to move to another town, but he is divided between the college and his sweetheart, Maggie. His parents Leona and Walter Whitmore are very worried about him. When Owen has violent dreams, Dr. Ramos decides to consult with Dr. Jonas Julian, a specialist in dream analysis and sleep disorders. Meanwhile, people are protesting in front of the Townsend State Prison where the infamous serial killer Dr. Eugene "Mean Gene" Branch will be executed. 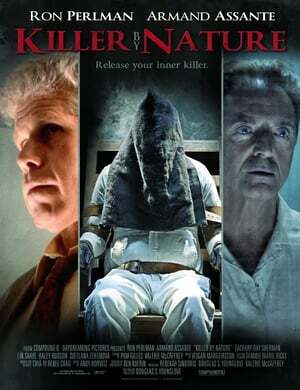 Dr. Eugene is the son of another serial-killer and had performed sadistic medical experiments on his victims. Out of the blue, Marcia Freeman who went missing, is found dead in precisely the way that Owen saw in his dreams - the murder set up as if carried out by Dr. Branch.